Regional Plan Association released a study, Pushed Out: Housing Displacement in an Unaffordable Region, showing how rising housing costs and the growing popularity of walkable neighborhoods have put pressure on low-income residents. Often thought of as a problem confined to fast-changing New York City neighborhoods, the study reveals how displacement pressure has spread around the metropolitan region. 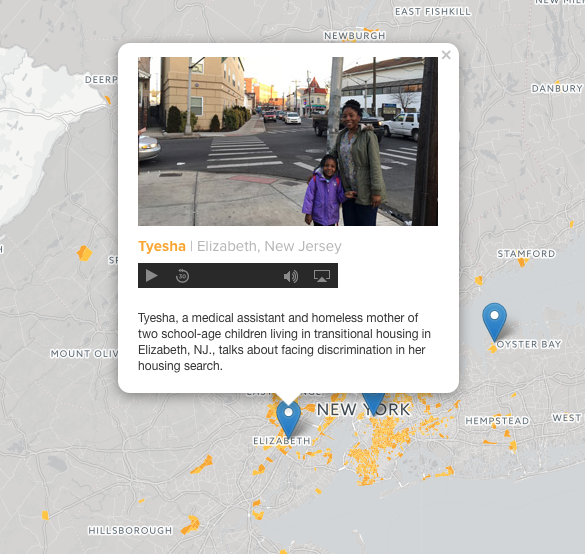 There are nearly one million people at risk of future displacement, the study finds, affecting communities from New Brunswick, N.J., to Poughkeepsie, N.Y., to New Haven, Conn.
"RPA's report powerfully maps the threat of displacement not only in New York City but across the region." Listen to stories of residents from around the region who are feeling the effects of rising prices and are worried about being displaced.